The Baked Brownie! 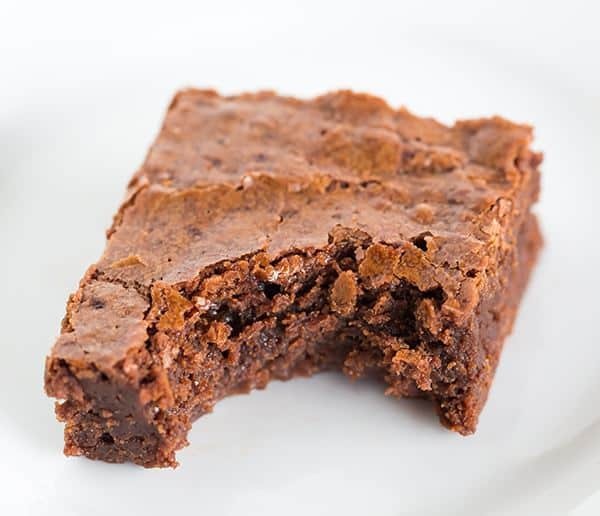 Totally famous and for good reason – they are rich, dense, fudge-like brownies; you’ll never need another brownie recipe! The famed Baked brownie. Oprah says it’s one of her favorite things. 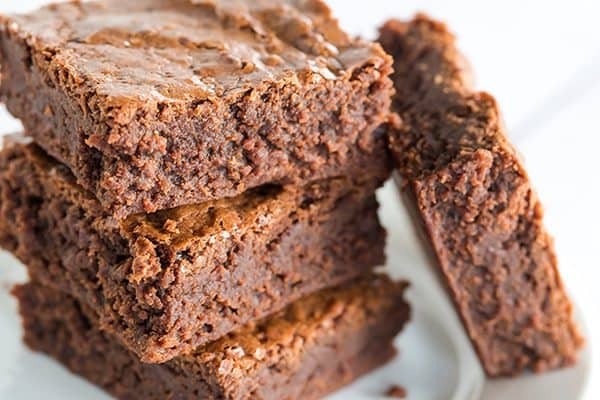 America’s Test Kitchen claims it’s their favorite brownie. I don’t put much stock in Oprah, but America’s Test Kitchen is pretty much like the bible to me when it comes to all things kitchen. I check their reviews before any other recipes, and before I buy any kitchen equipment or new ingredients. So, if it’s their favorite brownie, I need to take a serious look. If you haven’t treated yourself to the beauty that is the Baked cookbook , run, don’t walk, to Amazon and order it immediately. The Baked series is one of my most coveted groups of cookbooks – they have incredibly wonderful recipes, many that have a cozy, homey feel as well as some that have unique tweaks. I could go on about all of the amazing recipes in this book, but for now, let’s focus on these brownies. Because they deserve it. They are one of my favorite things. And I usually need to hide them from myself. There is a great explanation in the book about how the Baked brownie recipe came to be, which is a great read. The key is that they don’t want it to be cakey, so they use no leavening agents (no baking powder or baking soda). With 11 ounces of chocolate, additional cocoa powder, lots of butter and sugar, and 5 eggs, you don’t need me to tell you that these babies are R-I-C-H. This is quite possibly the most perfect brownie. Now, if you like cakey brownies you won’t think so. 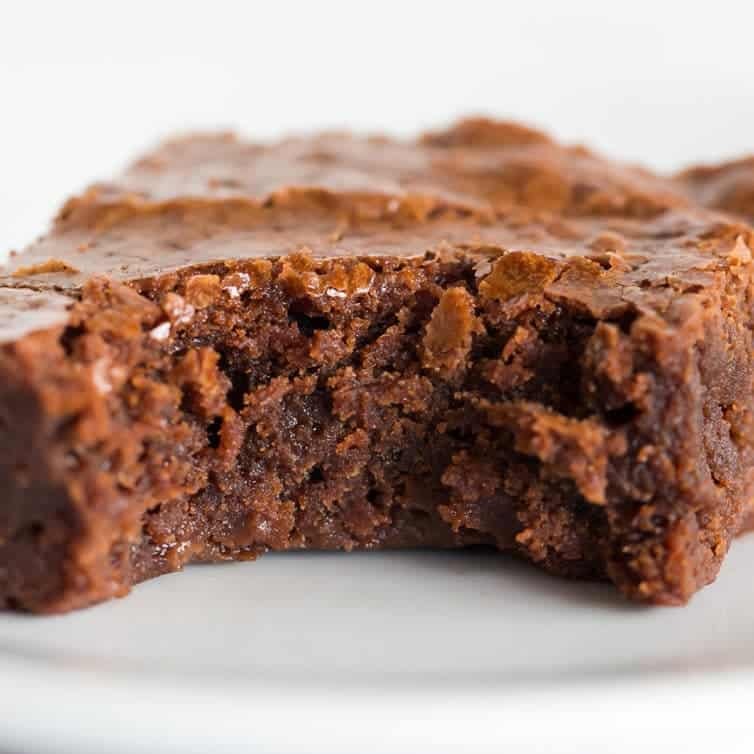 But, if you like honest-to-goodness, rich and dense brownies, you will have found your Eden when you bite into these. They have a good bit of height given that they don’t have any leavening agents, so they aren’t thin, gooey and smooshed like some brownies (this is a good thing). 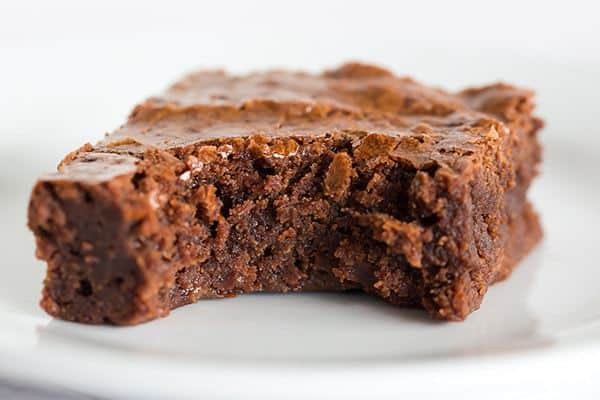 They have substance and heft when you bite into them, and they boast the ever-elusive and much sought after thin, crackly brownie crust that seems to be the calling card of amazing brownies. Now, get thee into the kitchen and make these! Then pour yourself a tall glass of cold milk and enjoy bite after decadent bite. 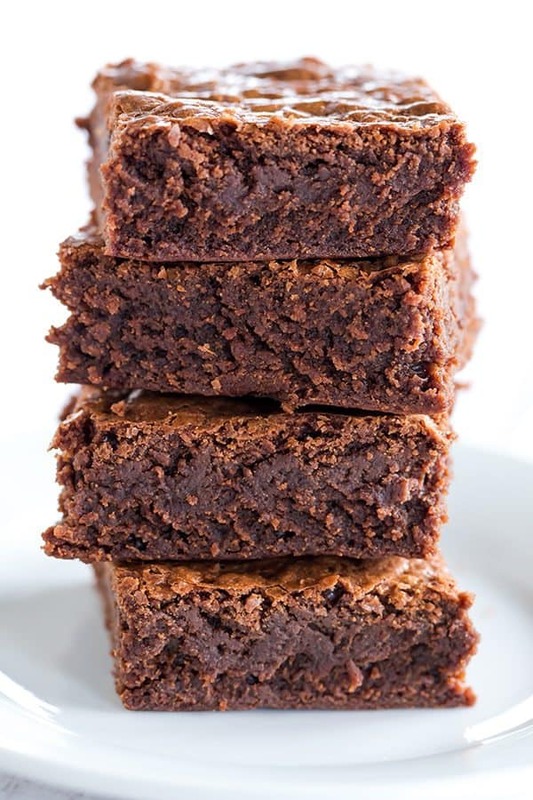 Totally famous and for good reason - they are rich, dense, fudge-like brownies; you'll never need another brownie recipe! Put the chocolate, butter and instant espresso powder in a large heat-proof bowl and set it over a saucepan of simmering water, stirring occasionally, until the chocolate and butter are completely melted and smooth. Turn off the heat, but keep the bowl over the water and add the sugars. Whisk until completely combined, then remove the bowl from the pan. The mixture should be room temperature. Pour the batter into the prepared pan and smooth the top. Bake, rotating the pan halfway through baking, until a toothpick inserted into the center of the brownies comes out with a few moist crumbs sticking to it, about 30 minutes. Let the brownies cool completely in the pan, then lift them out of the pan using the parchment paper. Cut into squares and serve. Store at room temperature in an airtight container or wrap with plastic wrap for up to 3 days. This recipe was originally published on October 8, 2010.